For the past three decades, the BVI has seen tremendous growth in its financial services sector and in the incorporation of new companies. It is estimated that roughly 45 per cent of all offshore companies in the world are incorporated in the BVI,7 and in 2014, it was estimated that the BVI was the domicile for five times more incorporated companies than its nearest competitor.8 In addition to its pre-eminence in company incorporations, the BVI is establishing itself as a leader in the provision of fiduciary services, asset management, trust and estate planning and fund administration, as well as having a highly regarded legal system. Regulatory development is also gathering pace in the BVI as the Organisation for Economic Cooperation and Development continues to push for greater transparency and offshore financial centres come under increasing scrutiny both from international organisations and the general news media. The continued success of the BVI financial services industry is therefore dependent on safeguarding rigorous standards, remaining ahead of the curve in relation to its offshore peers, preserving its tax status, and ensuring the expertise, integrity and independence of its professional service providers. Formal insolvency in the BVI was codified in January 2004 when the Insolvency Act 2003 (IA) came into force. The primary restructuring tools in the BVI continue to be schemes of arrangement and plans of arrangement. BVI legislation does not possess an equivalent regime to the United States' Chapter 11 or the United Kingdom's administration. The traditional use of provisional liquidators in the BVI continues, but its versatility is underestimated as a tool deployed where there is a risk of dissipation of assets and mismanagement rather than as a light-touch restructuring tool as seen in the Cayman Islands, Bermuda and Hong Kong. However, in this regard, we believe that following an increase in successful provisional liquidation appointments in the Cayman Islands, Hong Kong and Bermuda for the purposes of restructuring, the BVI may revisit the limitations of a provisional liquidation. Case law from other jurisdictions has evolved to provide more certainty on the powers of provisional liquidators, including the power to promote schemes of arrangement in the course of their appointment,12 or in the absence of finding a 'white-knight' for a prolonged period of time,13 and it may be that the BVI begins to follow this trend before too long. At present, however, the most common ways in which a BVI company will seek to implement arrangements or reorganise or restructure its debts are the use of schemes of arrangement under the BVI Business Companies Act 2004 (BCA), plans of arrangement under the BCA, and the various liquidation procedures available under the BCA and IA. The BCA's definition of 'arrangement' is very wide and includes reorganisations, mergers, consolidations, separations of businesses, dispositions of assets or businesses, dispositions or exchanges of shares or securities, amendments to memoranda and articles of association, dissolutions and, importantly, any combination of these. The purpose of a scheme of arrangement is for the company to agree a compromise with its creditors or shareholders to enable it to carry on as a going concern without entering into formal insolvency proceedings. A scheme may be initiated by the company, its creditors, its shareholders, or (if one has been appointed) its liquidator. The BCA does not contain a great deal of detail with regard to the procedure for obtaining the court's sanction of a scheme of arrangement. The BVI court has, therefore, tended to adopt the practice followed by the English courts and, in particular, in the Chancery Division's Practice Statement (Companies: Schemes of Arrangement)  1 WLR 1345. To initiate a scheme of arrangement,14 the company must be incorporated under the BCA (this includes BVI companies incorporated under the previous legislation and foreign companies validly continued as BVI companies). Dissolved companies and companies that have migrated away from the BVI cannot enter into schemes of arrangement; however, insolvent companies, companies at risk of insolvency and companies that have migrated to the BVI may enter into a scheme. A scheme may be proposed by the company, a creditor, a member, an administrator (if the company is in administration) or a liquidator (if one has been appointed, whether solvent or insolvent).15 Once a scheme is proposed, an application must be made to the court for an order that a meeting of creditors or shareholders be convened. At the hearing of this application (known as the convening hearing) the court will consider issues of class composition and jurisdiction. As with an English scheme of arrangement, members and creditors are divided into classes depending on the respective rights that exist between them and the company, and the extent to which those rights stand to be varied by the scheme. The result is that often different classes of creditors and members are treated differently and a separate scheme meeting will be required for each different class. If the creditors or shareholders vote to approve the scheme, then an application must be made for the court's approval.17 The court will not then rubber-stamp the scheme simply because it has been approved at the scheme meetings: it will have to be satisfied that the scheme represents a true compromise, is fair and reasonable, and that it will be efficacious. Once the court's sanction has been obtained, every copy of the company's memorandum and articles of association issued thereafter must have a copy of the order approving the scheme attached to it. Unless the company is insolvent when it proposes to enter into a scheme of arrangement, the directors will remain in control of the company; if the company is in liquidation, the liquidator will have control. There is no fixed duration for a scheme of arrangement, and its length will be determined by the directions given by the court, the expedience with which meetings are convened, and the terms contained within the scheme itself. Post-arrangement creditors who are not bound by the terms of the scheme retain their right to enforce their full debt against the company. The company, therefore, remains at risk of aggressive creditors' action unless it persuades the court to use its extensive discretionary powers to stay any proceedings or suspend the enforcement of any judgment or order for a specified period of time. In contrast to schemes of arrangement and creditors' arrangements that have their origins in English law, a plan of arrangement is a Canadian invention and was first introduced to the BVI by way of the International Business Companies Act 1984. While there is a degree of overlap between the two, a scheme of arrangement is an arrangement between the company and some or all of its creditors or members to compromise or change their rights against the company subject to court supervision, while a plan of arrangement is a mechanism for achieving a wide range of corporate restructurings by way of court approval involving the company and its members. If a company's directors conclude that it is in the best interests of the company (or the members or creditors of the company) to enter into a plan of arrangement with the company's creditors, they may formally adopt the proposed plan, after which an application must be made to the BVI court for approval.20 The court will issue certain directions such as which creditors or members should be notified, whether or not any approvals are needed, and whether or not any shareholders should be able to exercise their statutory right of dissent. The directors will then confirm the plan and submit it to any other person whose approval the court directs must be obtained. Once all necessary consents have been obtained, the company must execute articles of arrangement and file copies with the Registrar of Corporate Affairs, who will register them and issue a certificate. As with schemes of arrangement under the IA, the process of proposing and applying for approval of a plan of arrangement does not trigger any moratorium, so companies remain vulnerable to creditors' claims. In the case of In re B&A Fertilisers Ltd; In re Rio Verde Minerals Development Corp,22 a plan of arrangement was used as an alternative to the merger provisions under Sections 170 to 173 of the BCA. B&A Brazil wished to take over Rio Verde with the consent of Rio Verde's board. The parties therefore proposed a plan of arrangement pursuant to which each member of Rio Verde would have its shares in Rio Verde exchanged for the equivalent number of redeemable shares in B&A. These redeemable shares would then be redeemed by B&A at the same share price as Rio Verde's then share price the next business day. The effect of the plan of arrangement would be to achieve the takeover of Rio Verde by B&A. The court gave directions that any plan would have to be subject to the approval of the warrant holder and that any plan affecting the warrant holder must entitle members of Rio Verde and the warrant holder to dissent in accordance with the provisions of Section 179. Rio Verde is significant for several reasons. First, Section 177 of the BCA does not provide that a threshold number of shareholders must approve the plan. This is in contrast to the 75 per cent in value test under a scheme of arrangement. Under Section 177(2) it is the directors of the company that determine whether or not the proposed plan is in the best interests of the company; however, the Court will not merely rubber stamp a plan of arrangement that has been proposed by the board under Section 177(2) but will assess it critically. Second, Section 177 does not provide an automatic right to dissent. Under Section 177(4)(c), the court has a discretion to allow any holder of shares, debt obligations or other securities to dissent under Section 179. In Rio Verde, the judge considered that warrant holders would be within the ambit of Section 179 as holders of 'other securities' under Section 177(4)(c). Once a final order approving a plan of arrangement is made, it cannot be appealed except on a point of law. If a party does wish to appeal on a question of law, the notice of appeal must be filed within the 20 days immediately following the date of the order. A creditors' arrangement may be proposed by any person, but a majority of 75 per cent of the company's unsecured creditors by value of the creditors present in person or by proxy must vote in favour of the arrangement in order to approve it and bind dissenters.26 A supervisor must be appointed to oversee the arrangement, and the supervisor must be a licensed insolvency practitioner. A disgruntled creditor or member may apply to the court for relief on the basis that his or her interests have been unfairly prejudiced. The most striking difference between this type of compromise and comparable regimes in other jurisdictions is that, in the BVI, the court is not involved, thereby (theoretically) making a binding compromise arrangement easier to bring about; similarly, there is no requirement to register the arrangement with the Registrar of Corporate Affairs. However, notwithstanding these refinements, the use of creditors' arrangements has not yet proved popular in the BVI. A company may put itself into voluntary liquidation on either a solvent or an insolvent basis. In a voluntary solvent liquidation, the directors resolve to place the company into liquidation, but must also determine that the company is both able to pay its debts as they fall due and that its assets exceed its liabilities. Normally, the shareholders must resolve to appoint a liquidator; however, if the company's memorandum and articles of association permit, the directors can resolve to appoint a liquidator, though in such cases it is still necessary for the shareholders to approve the liquidation plan. Liquidation commences at the time the notice of the liquidator's appointment is filed with the BVI Registry of Corporate Affairs. Once the voluntary liquidator is appointed, the directors remain in office, but their powers cease. The liquidator is required to consider the company's solvency on an ongoing basis. If the liquidator forms the view that the company is insolvent, he or she must convert the liquidation to an insolvent liquidation. When the company's affairs have been wound up, any creditors' claims satisfied, and any surplus assets distributed among the company's members, the company is struck off the register of companies and dissolved. There are broadly seven types of security interest that can arise under BVI law: legal mortgage, equitable mortgage, equitable charge (fixed or floating), pledge, legal lien, equitable lien, and hypothecation or trust receipt. BVI companies are often used as holding vehicles either on a stand-alone basis or as part of a wider group structure when seeking to raise capital through debt financing, and there are a number of features of BVI law that make it particularly attractive to lenders to structure such transactions through a BVI entity or to use such a company as a security provider. The enforcement of security interests is normally conducted in the jurisdiction where the relevant collateral is located. In most cases concerning the enforcement of security in assets located within the BVI, the assets in question are shares in BVI companies. As such, most of the legal issues that arise in this context are in relation to security over shares. In practice, the common-law remedies available in the BVI are similar to those remedies available under the laws of other common-law jurisdictions. There are several other arrangements that parties can put in place that have the effect of conferring a type of security but that do not actually create a proprietary security interest in the subject matter. For example, it is possible to grant a power of attorney or conditional option in favour of the secured party relating to shares, to enter into a retention-of-title agreement, or to execute undated transfer instruments. While these methods may provide protection for the secured party, they do not confer a proprietary interest in the assets to which they relate, and for this reason they are not subject to the same legal considerations the courts have developed in the context of conventional proprietary security interests. The range of remedies that is available to the security holder depends to a degree upon the type of security interest. Generally, the main types of security interest that can arise in relation to shares in a BVI company are a perfected legal mortgage, an equitable mortgage, an equitable charge (which may be fixed or floating) or a possessory pledge. In the event that there is a default on the secured obligations, the holder of a security interest over shares may have up to four primary remedies (depending upon the type of security interest which they hold): foreclosure, power of sale, receivership or taking possession. In addition, the holder of the security can usually sue upon the covenant to pay that appears in most security documents. There are other remedies available, in particular to the holder of a mortgage, but they relate predominantly to land and are rarely exercised in relation to shares, and so are not considered further here. Depending on the security documents, the holder of a security interest may be entitled to pursue all of its remedies concurrently or consecutively. If a company goes into liquidation, the rights of secured creditors remain unaffected, unless there is a dispute over the validity of the security. After the commencement of the liquidation, the secured creditor can either value the assets subject to the security interest and, if there is a shortfall, prove for the balance as an unsecured creditor in the liquidation, or surrender his or her security interest to the liquidator and prove as a wholly unsecured creditor. If the liquidator does not agree with the value placed on the asset by the secured creditor, he or she can require that the asset be offered for sale.35 The secured creditor will be paid his or her debt out of the proceeds of sale, and any surplus funds will be paid to the liquidator for the benefit of the general body of unsecured creditors. A liquidator of a company in insolvent liquidation has the power to borrow money in the company's name, if doing so is likely to be in the interests of the company's creditors. In such circumstances, the liquidator can grant post-commencement lenders security or higher priority than other creditors.36 A liquidator of a company in solvent liquidation also has the power to grant lenders security over the company's assets; however, as stated above, the liquidator is required to keep the question of the company's solvency under review and take care that borrowing does not cause the company to become insolvent. Unlike in some other jurisdictions, however, there is no provision in BVI legislation for the grant of super-priority status in respect of post-commencement finance, or for the grant of security over already-secured assets. As to the circumstances in which this shift in the focus of the company's interests takes place, it has variously been said that it happens when the company is insolvent or of doubtful solvency, near to or in the vicinity of insolvency, or if a contemplated payment would jeopardise the company's solvency or cause a loss to creditors.41 On balance, we take the view that for the directors' duty to act in the best interests of the company to be aligned with creditors' interests instead of shareholders', the company must actually be insolvent or very close to it. Part IX of the IA deals with malpractice and the principal ways in which a director may be ordered to contribute assets to an insolvent company, including liability for misfeasance, fraudulent trading and insolvent trading. An application pursuant to Part IX can only be brought by a liquidator, but the provisions are not limited territorially. In the event that a director or officer of the company has misapplied, retained or become accountable for any money of the company, or if the director could be described as being 'guilty of any misfeasance or breach of any fiduciary or other duty in relation to the company',45 then the court has broad powers to make an order that such director or officer repays, restores or accounts for money or assets or any part of it to the company as compensation for the misfeasance or breach of duty. The IA misfeasance action merely puts on a statutory footing the powers at common law, but this statutory provision does not preclude any parallel liability arising under general directors' duties at common law or otherwise. The court can make an order against a company's directors if it is satisfied that, at any time before the commencement of the liquidation of the company, any of its business has been carried on 'with the intent to defraud creditors of the company or creditors of any other person; or for any fraudulent purpose'.46 In such cases, the court can declare that the director is liable to make a contribution that the court considers proper towards the company's assets. This is not limited to directors and officers, but applies to anyone who has been involved in carrying on the business in a fraudulent manner. There is no statutory defence to fraudulent trading, but it is necessary that actual dishonesty be proved. Aside from the IA, Section 81 of Conveyancing and Law of Property Act provides that every conveyance of property made with the intent to defraud creditors shall be voidable at the instance of any person thereby prejudiced. This Section does not apply to any estate or interest conveyed for valuable consideration and in good faith or upon good consideration and in good faith to a person without notice of the intent to defraud creditors. There is no time limit specified for any action under this Section. If the court is satisfied that a director 'at any time before the commencement of the liquidation of the company, knew or ought to have concluded that there was no reasonable prospect that the company could avoid going into liquidation',47 then the court can order any director to make such contribution to the assets of the company as it considers proper.48 The court cannot make an order against a director if it is satisfied that the director knew or ought to have concluded that there was no reasonable prospect that the company would avoid going into insolvent liquidation, and that the director 'took every step reasonably open to him to minimise the loss to the company's creditors'.49 Any contribution that the court orders will be compensatory rather than penal, and the money recovered will be pooled with the general assets of the company for distribution by the liquidator. The court has broad powers to order such person to repay, restore or account for the money or assets, or pay compensation for such misfeasance. Part VIII of the IA provides a number of voidable-transaction claims by which a subsequently appointed liquidator may seek to recover company funds and property, thereby swelling the assets of the insolvent estate for the benefit of its creditors. There are four types of voidable transaction that a liquidator may consider upon a company going into insolvent liquidation: unfair preferences, undervalue transactions, voidable floating charges and extortionate credit transactions. In relation to most of these, several defined terms are used: 'insolvency transaction', 'vulnerability period' and 'connected person'. In relation to unfair preferences, undervalue transactions, and voidable floating charges, the liquidator must show that the transaction was an 'insolvency transaction': the transaction in question must either have been made at a time when the company was insolvent, or have caused the company to become insolvent.50 For these purposes, 'insolvency' excludes balance-sheet insolvency: only cash-flow insolvency and technical insolvency are sufficient.51 The liquidator is not required to prove that an extortionate credit transaction is an insolvency transaction, and in relation to other types of voidable transactions, the court will sometimes presume that the transaction was an insolvency transaction, as explained below. In relation to unfair preferences, undervalue transactions, and voidable floating charges, the 'vulnerability period' is the period beginning six months before the onset of insolvency and ending on the date on which the liquidator was appointed. If the transaction was with a person connected to the company, this period is extended to two years. In the case of extortionate credit transactions, the vulnerability period begins five years before the onset of insolvency and ends with the appointment of the liquidator. In relation to clawback actions brought in the context of liquidations, the term 'onset of insolvency' is defined as the date on which the application for the appointment of a liquidator was filed (in the case of insolvent liquidations by order of the court), or the date on which the liquidator was appointed (in the case of voluntary insolvent liquidations). A person is treated as being 'connected' to a company if he or she falls within the list of persons set out in Section 5 IA. This list includes directors or members of a company or of a related company, a different company that has a common director with the company, a company that is a subsidiary or holding company of the company, and relatives of directors. A company enters into a transaction at an undervalue if it transfers an asset to another for no consideration, or sells an asset for consideration that is worth significantly less than the asset's market value.55 Again, and as stated above, the transaction must be an insolvency transaction and it must have taken place within the vulnerability period. The transaction will not be an undervalue transaction if it can be shown that the company acted in good faith and for the purposes of its business, and if at the time of the transaction there were reasonable grounds for believing the transaction would benefit the company.56 If the transaction is entered into between the company and a connected person, the court will presume that the transaction was an insolvency transaction and that the company did not act in good faith or have reasonable grounds for believing the transaction would benefit the company. If the grant of a floating charge took place within the vulnerability period and was either made at a time when the company was insolvent or caused the company to become insolvent (i.e., was an insolvency transaction), it will be voidable.57 If, however, the charge was not created in order to secure an existing debt, but secured new borrowing or liabilities, it will not be voidable.58 If a charge was created in favour of a connected person, it is presumed that the charge was an insolvency transaction. Finally, a transaction is an extortionate credit transaction if it is concerned with the provision of credit to the company and either the terms of the credit arrangement require grossly exorbitant payments to be made in respect of the provision of credit (whether unconditionally or on the occurrence of certain contingencies) or otherwise grossly contravenes ordinary principles of fair trading.59 It is not necessary to show that the extortionate credit transaction was an insolvency transaction. In Parkmond Group Limited v. Richtown Development Limited,62 the liquidators of Parkmond applied for an order putting Richtown into liquidation. Parkmond and Richtown were both companies within the same group, and the liquidators said that Richtown owed Parkmond US$12.5 million. The liquidators asserted that Richtown was unable to pay its debts and was, therefore, insolvent. In addition, the liquidators argued that Richtown had been so mixed up in intra-group fraud that it was necessary to wind the company up on the just and equitable ground. The judge found that Richtown was insolvent, but in addition said that even if he was incorrect in that regard, it was just and equitable to wind the company up in any event. He noted that it was sufficient to grant an application on the just and equitable ground to find that the company's affairs were being conducted in an improper manner. He did not feel that he was able to make a finding of fraud; however, the directors of Richtown had failed to comply with repeated requests from the liquidators for information regarding group finances and had failed to comply with orders for the production of specific documents. He found that the directors had not complied with their duty to maintain records sufficient to show and explain the company's transactions and enable them to determine the financial position of the company. It was this failure that had given rise to the suspicion of fraud, and this constituted sufficiently serious misconduct on the directors' parts to make it just and equitable to liquidate the company. In In the matter of Sherbrooke Group Limited, the trustees of estate of the deceased Boris Berezovsky sought the appointment of liquidators over the BVI company63 Sherbrooke Group Limited. They took this step arising from their investigation into Mr Berezovsky's estate, uncovering the fact that large sums of money had passed from Mr Berezovsky to Sherbrooke before Mr Berezovsky's death and during a period when he was clearly unable to pay his creditors. The transactions were described either as loans or simply as payments. The trustees were, however, unable to find any documentation evidencing these loans, and the evidence instead pointed to Sherbrooke having been used simply as a treasury vehicle for Mr Berezovsky. The issue with the application was that as there was no loan documentation; it would be difficult to state categorically that the loans were due and payable. The trustees argued that the court could be confident that the company could be wound up on the insolvency ground because there was good evidence to suggest that Sherbrooke was either already subject to a liability to pay, or at the very least, a contingent liability. The trustees also applied to wind up Sherbrooke on the just and equitable grounds that the appointment of liquidators was necessary to investigate the affairs of the company. Indeed, the appointment of liquidators over Sherbrooke was the only realistic way in which the substantial cash transfers, which appeared to come from Mr Berezovsky, into it could be investigated. Sherbrooke was ultimately placed in liquidation on both the insolvency and just and equitable grounds, the Court saying, inter alia, that it would not tolerate the misuse of the BCA structure to conceal assets from creditors and that it would be appropriate to wind up on the just and equitable ground. In KMG International NV v. DP Holdings SA, KMG filed an application seeking the appointment of liquidators to DPH (a Swiss company) based on an unpaid arbitral award (US$200 million). KMG successfully applied for both leave to serve out of the jurisdiction and the immediate appointment of provisional liquidators. Leave to appeal was subsequently set aside, but the provisional liquidators remained in office. KMG filed a notice of appeal on 8 June 2017 with a counter-notice filed by DPH thereafter.64 During this period, however, time continued to run in respect of the originating application to appoint liquidators. Under BVI law, such applications must be determined within six months of filing (subject to any extension of time by the Court), failing which the application is deemed to have been dismissed.65 KMG secured a first extension of three months but failed to apply for a further extension of time, and DPH subsequently argued that the originating application was deemed dismissed on 11 July 2017. Before the Court of Appeal, KMG argued that the continuation of the provisional liquidator order, by implication, extended the life of the originating application. The Court of Appeal rejected this argument finding, in the clearest terms, that there could be no implied extensions of time pursuant to Section 168 IA. This decision makes it very clear that any extension must be expressly sought and granted to avoid a deemed dismissal under Section 168. In In the matter of Fairfield Sentry Limited (in liquidation) & Ors, the Court of Appeal was invited to consider the meaning of 'person aggrieved' under Section 273 IA. Interpretation of Section 273 IA arose following the commencement of US proceedings by the joint liquidators of Fairfield Sentry. The US proceedings involved the liquidators seeking to claw back redemption monies on behalf of the Fairfield Sentry from a number of US defendants. In addition, the liquidators sought to have the US court grant declaratory and substantive relief pursuant to Section 249 IA against those US defendants and others, on the basis that the redemptions constituted voidable transactions under the provisions of the IA. Pursuant to Section 273, the appellants (a small number of US defendants in the US proceedings) applied to the Court, asking it to exercise its supervisory powers over the liquidators and restrain them from pursuing the US proceedings on the basis that the appellants were 'persons aggrieved' by the liquidators' decision or actions. The appellants failed in the Court and appealed contending that the trial judge erred in his approach to determining the question of standing and that they were 'persons aggrieved' within the meaning of Section 273. The appellants further argued that the US restitution claims were estopped and sought to rely on the broader doctrine of abuse of process. The Court of Appeal dismissed the appeal and held that the appellants, as a small number of US defendants in the US proceedings, were not considered 'aggrieved persons' under Section 273. A person cannot be considered as being 'aggrieved' unless that person has a sufficient interest in the outcome of an act, omission or decision taken by the liquidator in the liquidation or a sufficient interest in the relief sought. The appellants did not suggest that they had any interest in the assets of Fairfield or the way they were to be distributed. As the appellants were strangers to the liquidation and had no legitimate interest in the relief sought, it follows that they did not have standing under Section 273 to apply for the restraint of the liquidators in pursuing the US proceedings. When framing the final scope of the IA, the drafters were cognisant of the BVI's position as a premier offshore jurisdiction and the numerous cross-border issues this brings. Part XIX of the IA provides the basic statutory framework for judicial assistance in insolvency proceedings. It allows foreign representatives in certain types of insolvency proceedings (i.e., collective judicial or administrative proceedings in which the property and affairs of the debtor are subject to control or supervision by a foreign court taking place in designated territories) to apply to the BVI court for assistance. The provisions appear to be broad enough for the BVI court not only to provide procedural assistance but also to apply substantive principles of BVI insolvency law, and the BVI court has discretion whether to apply the law of the BVI or the law applicable to the foreign proceedings. The BVI courts have had a number of opportunities to consider the scope of Part XIX. In Irving H Picard v. Bernard L Madoff Investment Securities LLC,70 Mr Picard, the trustee appointed in the US liquidation of Bernard L Madoff Investment Securities LLC, sought (1) recognition in the BVI as a foreign representative, (2) permission to apply to the BVI court for orders in aid of the foreign proceedings, and (3) permission to require any person to deliver up to him or her any property belonging to the company. Deciding the case against Mr Picard, Bannister J held that foreign representatives are confined to relying upon Part XIX, because the legislature had decided not to bring the alternative provisions in Part XVIII into force. The key difference between the two Parts was that whereas Part XVIII conferred status on foreign representatives through recognition of the foreign proceedings, Part XIX merely gave the foreign representative express rights to apply to the court for orders in aid, but without conferring status. The codification of rules on recognition of foreign office holders in Part XVIII had resulted in the implied repeal of the common-law rules of recognition, so Mr Picard could only rely on the support afforded by Part XIX. The court then held that because Part XIX operated on an 'application-by-application' basis it could not give Mr Picard any general authority or special status, but would have to hear individual applications for specific orders. In Re FuturesOne Diversified Fund SPC Ltd,71 the court had to consider the position of a receiver appointed by the United States District Court for the Northern District of Illinois on the application of the United States Commodity Futures Trading Commission. An application had been made by the joint liquidators of certain funds incorporated in the BVI for a declaration that they had been validly appointed. The receiver applied to be added to the proceedings, either under the court's inherent jurisdiction or under Section 273 of the IA as a person 'aggrieved by an act, omission or decision' of a company liquidator, so that he could oppose the liquidators' application and seek orders reversing everything that had been done, on the basis that it was done to avoid the effect of the order by which the receiver had been appointed. He also sought an order under Section 467 of the IA in support of the Illinois proceedings staying the BVI liquidations. This case was also heard by Bannister J. In relation to the latter application, his Lordship held that the ability to make orders in aid of foreign proceedings was limited to foreign proceedings for the purpose of 'reorganisation, liquidation or bankruptcy', and that on the evidence before the court it appeared that the purpose of the US receivership was to protect investors rather for any of the specified purposes. Accordingly, Bannister J held that the US-court-appointed receiver had no standing to make any application under Section 467 of the IA. In relation to the receiver's application to reverse the acts of the liquidators, the court held that the liquidators' claim that they had been appointed was not an 'act, omission or decision' of the joint liquidators within the meaning of the Act, so the receiver did not have standing under Section 273 of the IA. In any event, having concluded that the liquidators were validly appointed, the judge held that there was nothing that could have prejudiced the receiver. The case of In the Matter of C (a bankrupt)72 concerned an application brought by trustees in bankruptcy who had been appointed under the laws of Hong Kong for recognition in the BVI of the Hong Kong proceedings and the trustees' appointment. Bannister J reviewed his earlier decision in Picard v. Bernard Madoff Investment Securities LLC and stated that Part XIX was not an exhaustive code in relation to the court's jurisdiction to assist foreign insolvency officials: the effect of Section 470 of the IA was to preserve the common-law jurisdiction to assist foreign representatives as defined in Section 466 IA.73 If the foreign office holder came within that definition, the powers of the court in Part XIX would be available in addition to the common-law powers that had existed prior to the enactment of the IA. His Lordship also clarified the scope of that jurisdiction, stating that it was effectively limited to making orders for the purposes of preserving the integrity of the foreign bankruptcy procedures. He rejected submissions that if a foreign insolvency official were recognised by the BVI courts, they should be treated as having all the powers of an equivalent insolvency official under BVI law. Part XVIII of the IA adopts the UNCITRAL Model Law on Cross-Border Insolvency for giving and seeking assistance in insolvency proceedings; however, as stated above, this Part has not been brought into force, and the generally held view is that it is unlikely to come into force; as with administration orders, however, this may be reconsidered in the future. It should be stressed that the BVI courts will exercise insolvency jurisdiction over all companies registered in the BVI as of right, even if such a company does not have any assets in the BVI or has its centre of main interests in another jurisdiction. The various insolvency regimes provided for in the IA and discussed in more detail above in this chapter are all available in relation to BVI companies, notwithstanding that they may not conduct business in the jurisdiction or indeed have any connection with the BVI other than the fact of their incorporation there. The KMG International NV v. DP Holdings SA case is a good example of the BVI court exercising its jurisdiction over foreign companies with a sufficient connection to the BVI. As outlined above, KMG filed an application seeking the appointment of liquidators to DPH (a Swiss company). KMG applied in the BVI as DPH had assets in the jurisdiction (two wholly-owned BVI registered companies), and it would take two years to commence Swiss bankruptcy proceedings. DPH argued that BVI was not the appropriate forum for the winding up of the company. In this context, the court considered whether or not a liquidator appointed by a Swiss court in a Swiss liquidation could take control of, and liquidate assets held by, BVI companies merely by changing the boards of directors and without the assistance of the BVI courts. KMG argued that the BVI was the appropriate forum because a Swiss liquidator would not be able to exercise DPH's property rights situated in the BVI without the assistance of the BVI court. At first instance in order to determine the forum issue, it was held that if a Swiss liquidator were appointed to DPH, he or she would not need the court's recognition or assistance to use DPH's shareholder voting power and replace the boards of the BVI subsidiaries. While there may be situations in which a liquidator might find it desirable to obtain the court's assistance, the court did not consider the circumstance of foreign liquidator voting shares held by a foreign corporation over which he or she is a liquidator, in accordance with the foreign law governing the corporation and his appointment, as one of those situations. On that basis, it was ultimately held that KMG had failed to show that BVI was the appropriate forum, and leave to serve out was set aside, but the provisional liquidator's order stood in the meantime. KMG appealed the trial judge's decision to set aside the order for leave to serve out of the jurisdiction, and DPH cross-appealed the trial judge's refusal to set aside the appointment of the provisional liquidators. The Court of Appeal held that the trial judge failed to consider the likely delay of two years to the start of bankruptcy proceedings in Switzerland, and did not give proper weight to the fact that the two principal assets of DPH were companies registered in the BVI and that no substantial assets of DPH had been identified in Switzerland. The Court of Appeal also found that the trial judge failed to consider that KMG was the most substantial of DPH's creditors and wished to pursue a BVI liquidation. The Court of Appeal dismissed DPH's cross-appeal. The Court of Appeal found that evidence from public searches had established the speed at which DPH could transfer assets from jurisdiction to jurisdiction. The Court of Appeal examined the meaning of the 'risk of dissipation', finding that dissipation in the 'Mareva sense' or evidence of asset-stripping was not necessary. The test was whether there was a serious risk that the DPH assets might not continue to be available, which was satisfied here. If a BVI company has been wound up or is in the process of being wound up by a foreign court, it can nevertheless be placed in liquidation in the BVI by either of the two routes available (i.e., the appointment of a liquidator by the court or by the members of a company). A foreign company that is in liquidation abroad may also be placed in liquidation, but only through the mechanism of a court-appointed liquidator. In such situations, the liquidation of the company in its place of incorporation will generally be regarded as the primary liquidation and, in common-law countries at least, all others will be treated as 'ancillary' or secondary liquidations in which the liquidator's powers will be confined to collecting and distributing the assets in that jurisdiction. If a liquidator is appointed over a BVI company, he or she becomes the appropriate person to deal with the company's assets in place of the directors. The liquidator will be recognised as having the authority to administer the assets of the company worldwide, but the recognition of his or her authority abroad is effectively a matter for the foreign courts in the relevant jurisdiction. Most common-law jurisdictions will generally recognise a liquidator of a foreign company appointed by the court of the place of incorporation. Earlier, it was discussed that Part XIX provided one means by which the BVI courts may be able to assist in aiding foreign proceedings. The alternative involves reliance on the common law, including principles of cross-border insolvency assistance, notably 'modified universalism' – the concept that a worldwide single insolvency process ought to be apply, which has been recently reaffirmed by the Privy Council in Singularis Holdings Limited v. PricewaterhouseCoopers.77 Significantly, Singularis postdates In the Matter of C, where obiter, Part XIX was considered (in the context of BVI recognition of Hong Kong bankruptcy proceedings and officer holders) to be purposely restrictive. Over the past few years, concurrent insolvency proceedings in Hong Kong, the BVI and the US have arisen for consideration and added to the growing case law in this area. The Hong Kong court in Supreme Tycoon78 found that foreign insolvency liquidations, even when commenced by way of a members' resolution, are eligible for common law recognition and assistance in Hong Kong. Supreme Tycoon Limited, a company incorporated in the BVI, was placed in liquidation in the BVI by way of members' resolution. A question arose as to whether liquidators appointed pursuant to the resolution were 'officers' of the BVI court79 and, therefore, capable of being recognised by the Hong Kong court. In finding that the liquidators in question could be recognised, the Hong Kong court considered the majority decision of the Privy Council in Singularis wherein it was suggested obiter that common law recognition should not be extended to voluntary liquidations on the basis that this was a 'private arrangement'. The Hong Kong court rejected that reasoning and stated that while there is no doubt a difference between compulsory and voluntary winding up in terms of the level of court supervision, 'the difference is one of degree, not kind'. What matters most is whether the foreign proceedings is collective in nature, in the sense that it is 'a process of collective enforcement of debts for the benefit of the general body of creditors'. 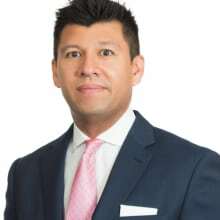 In re OAS Investments Limited,80 the BVI court considered the liquidation of a BVI subsidiary which was part of a wider Chapter 15 restructuring of the privately-owned Brazilian multinational conglomerate, the OAS Group. The government-led anti-corruption investigation of Petrobras resulted in the OAS Group losing several contracts and put a number of construction projects on hold. This, combined with the recent downturn in Brazil's economy, resulted in the OAS Group companies seeking court-supervised reorganisation under the Brazilian Bankruptcy Law in March 2015.81 In April 2015, the OAS Group companies filed for Chapter 15 restructuring proceedings in the State of New York. Following the Chapter 15 filings, a group of creditors of OAS Finance Limited (OAS BVI), a BVI-incorporated company and part of the OAS Group, applied for the appointment of provisional liquidators to OAS BVI with a view to ultimately liquidating the company. OAS BVI was placed in provisional liquidation with the provisional liquidators filing an application in the Brazilian court-supervised reorganisation to exclude OAS BVI from the Brazilian reorganisation. The joint provisional liquidators' goal was to ensure that OAS BVI participated in the court-supervised reorganisation as a creditor only. The joint provisional liquidators subsequently made a Chapter 15 filing, seeking to have the BVI proceedings recognised as the foreign main proceedings in respect of OAS BVI. The actions taken in the BVI, Brazil and the US were viewed by the courts in Brazil and the US as an attempt by certain bondholders to pursue remedies outside the Brazilian proceedings. Accordingly, the Brazilian court declined to grant the provisional liquidators' application to exclude OAS BVI from the court-supervised reorganisation, thereby allowing the OAS Group time to formulate a plan that included all of its subsidiaries. In addition, the US court held that the provisional liquidators' Chapter 15 filing would not be determined before the outcome of the OAS Group companies' Chapter 15 proceedings. These actions by the Brazilian and US courts ultimately convinced the dissenting bondholders to negotiate with OAS, and led them to agree to the restructuring plan and enter into a settlement agreement. In In re Pacific Andes Enterprises (BVI) Limited,82 the BVI court considered a series of liquidations in respect of subsidiaries of the troubled Pacific Andes Group. After several difficult financial years, the Pacific Andes Group (the Group) subsidiaries filed for Chapter 11 protection in July 2016. Substantial sums were involved in this matter, not least the US$650 million in unsecured loans owed to certain creditors known as 'Club Lenders'. According to the Club Lenders, by filing for Chapter 11, the Group had breached various undertakings. In addition, the Club Lenders alleged that the Pacific Andes Group filed for Chapter 11 protection in relation to 16 other Group entities, having deliberately concealed its intention from the Club Lenders and the chief restructuring officer. The Pacific Andes Group had no trading connection with New York or the US in general. Essentially, there was no other connection with the US save for the Group's desire to take advantage of the debtor-friendly environment offered by the Chapter 11 regime. In light of the group's actions, the Club Lenders lost all confidence in the ability of the Chapter 11 debtors to manage the business. In addition, one of the BVI entities, Pacific Andes Enterprises (BVI) Ltd, became the focus of an investigation in respect of trade finance fraud. Accordingly, the Club Lenders were successful in their application for the appointment of provisional liquidators in the BVI court. At the subsequent hearing for the appointment of liquidators, the Group strongly argued that a holistic restructuring was essential and that it was best for the restructuring to take place in the context of Chapter 11 rather than piecemeal under the supervision of a liquidator. That submission was wholly rejected by the BVI court. Apart from the fact that the companies were BVI entities regulated by BVI law, and, therefore, it was appropriate for the BVI courts to have jurisdiction over the companies, the appointment of a liquidator was not inconsistent with the Chapter 11 process. An independent officer of the court would not be prevented from engaging in the Chapter 11 process if there was a holistic restructuring on the table likely to result in value for the creditors. The pragmatic approach of the BVI court ensured that the rights of creditors were protected while recognising that international cooperation might be necessary and appropriate under the right circumstances. To this end, the form of the order that was granted permitted the liquidators to enter into international protocols to enable them to liaise with foreign insolvency officers subject to the court's approval. In October 2016, judges from 10 different jurisdictions, including the BVI, met in Singapore for the inaugural Judicial Insolvency Network (JIN) conference. The result of the conference was the JIN Guidelines for Cooperation in Cross-Border Insolvency Matters. 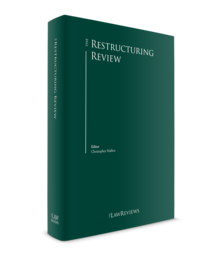 The guidelines were designed primarily to enhance communication between courts, insolvency representatives and other parties in the context of global restructurings and insolvency. As a result of the increased efficiency, it is hoped that stakeholders will see a reduction in delay and cost. As of the date of publication of this chapter, Bermuda and the BVI have both adopted the guidelines. Currently, there is no movement in the jurisdiction towards the commencement of administration or an alternative regime that would be accompanied by at least a short-term moratorium on creditor enforcement. The administration process is an alternative to liquidation for financially distressed companies; however, whereas the objective of liquidation is to realise the company's assets for the benefit of its unsecured creditors, administration seeks to preserve the company as a going concern. An application is made to the BVI court for an administration order. If the order is granted, then an administrator (who must be a licensed insolvency practitioner) is appointed to administer the company's assets; however, once the order is made, there is a moratorium on the exercise of creditors' rights. None of the company's creditors – including its secured creditors – may enforce their rights against the company while the order is in effect. Under English law, it is only necessary to show that an administration order is 'likely to' achieve one of the statutory purposes; however, in the BVI the requirement is to show that it 'will'. Another important difference is that in the BVI an administration order can be made if it will facilitate the rehabilitation of a group of companies of which the company in question is a member, whereas under the UK legislation the order must be for the benefit of that specific company. 1 Ian Mann and Andrew Thorp are partners and Fleur O'Driscoll is a senior associate at Harney Westwood & Riegels. 2 Vistra, Vistra 2020: The Uncertainty Principle (2017), p. 10, Fig. 9. 3 Owing to the impact of Hurricane Irma, up-to-date statistics for 2017 and 2018 are not yet available. 4 Ibid., pp. 11 to 12. 6 Vistra 2020, p. 12. 7 Review of Financial Regulation in the Crown Dependencies (Cmnd Paper 4855 of 2000). HMSO, Part III, Paragraph 1.2. ISBN 0 10 148554 9. Retrieved 23 June 2017. 8 McKinsey & Company, 'Building on a thriving & sustainable Financial Services sector in the British Virgin Islands', final report, December 2014, p. 7. 9 Q1 2017 BVI Financial Services Commission Statistical Bulletin Vol. 46. There are no recent official statistics on total number of incorporations (including struck-off, liquidated and dissolved companies), but these are estimated at approximately 960,000. 11 'The Russians are coming', Financial Times, 12 April 2007 (accessed 23 June 2017): www.ft.com/cms/s/0/2aec1ac0-e893-11db-b2c3-000b5df10621.html#axzz4DRmwjauT. 12 For example, the Hong Kong Court of Appeal in the case of Re Legend International Resorts Ltd  2 HKLRD 192 (HKCA) at 203f to i,  (Rogers VP); and Re Luen Cheong Tai International Holdings Ltd  2 HKLRD 719. 13 Re Plus Holdings Ltd  2 HKLRD 725 at 728e to 729i,  to  (Kwan J). 14 Pursuant to Section 179A BCA. 19 Sport Financiera SA v. Olympic Gold Holdings Limited BVIHC (Com) 452 of 2009, unreported (3 October 2013). 20 It is possible for a company in voluntary liquidation to enter into a plan of arrangement: in such a case, the liquidator completes the necessary procedural formalities; however, if a company is in insolvent liquidation, the liquidator is required to authorise the directors to take the procedural steps set out in the BCA. 21 In the event that 'fair value' cannot be agreed upon between the shareholders, there is a mechanism under Section 179 BCA to resolve the matter by reference to independent but party-appointed appraisers. 22 BVIHC (COM) 132 of 2012, unreported (22 January 2013). 26 Insolvency Rules 2005, Rule 83. 28 However, in certain circumstances creditors, members and other persons may apply to the court for relief on the basis that their interests have been unfairly prejudiced by the arrangement: Section 43 IA. 29 It is important to note that the BVI legislation does not use the sometimes-arcane language of the UK legislation: it refers to 'applications for the appointment of a liquidator' rather than 'winding-up petitions'. 32 Section 159(2) IA. Voluntary insolvent liquidation may also be used by companies where the directors are not comfortable signing a declaration of solvency. 33 Section 175 et seq. IA. 34 Section 166 BCA. See also Re Bond Worth Ltd  Ch 228. 36 Section 186 and Schedule II, Paragraph 11 IA. 37 Percival v. Wright  2 Ch 421; Re Smith & Fawcett Ltd  Ch 304 (CA); Multinational Gas and Petrochemical Co v. Multinational Gas and Petrochemical Services Ltd  Ch 258; and Grove v. Flavel (1986) 43 SASR 410 (SCSA). 38 Walker v. Wimbourne and others (1976) 137 CLR 1 (HCA) at 6 to 7 (Mason J). Whether or not the directors or the company owe a duty to creditors in such circumstances does not appear to be settled: the preponderance of the academic authorities asserts that directors have a duty to consider creditors' interests but not a duty to creditors to act in their best interests; however, some authorities argue that there is a duty owed to creditors as a whole. Arguing for a duty: Nicholson v. Permakraft (NZ) Ltd  NZLR 242 at 249 to 250 (Cooke J) (but this view was not concurred in by Richardson or Somers JJ); Hinnant, W 'Fiduciary Duties of Directors: How Far Do They Go?' (1988) 23 Wake Forest Law Review 163; and Sappideen, R 'Fiduciary Obligations to Corporate Creditors'  JBL 365; moreover, some argue that an independent duty is sustainable on the basis of Walker v. Wimbourne and others (1976) 137 CLR 1 (HCA); and Winkworth v. Edward Baron Development Co Ltd and others  1 WLR 1512 (HL(E)) at 1516 (Lord Templeman). Arguing against a duty: Nicholson v. Permakraft (NZ) Ltd  NZLR 242 at 255 (Richardson J) and 255 to 256 (Somers J); Worthington, S 'Directors' Duties, Creditors' Rights and Shareholder Intervention' (1991) 18 MULR 121 at 151; Sealy, L 'Personal Liability of Directors and Officers for Debts of Insolvent Corporations: A Jurisdictional Perspective (England)' in Ziegel, J (ed), Current Developments in International and Comparative Corporate Insolvency Law (Oxford: Clarendon Press, 1994) p. 486; Yukong Lines Ltd of Korea v. Rendsburg Investments Corporation of Liberia and others (No. 2)  1 WLR 294 (QB) at 312 (Toulson J); Spies v. The Queen (2000) 201 CLR 603 (HCA) at  (Gaudron, McHugh, Gummow, and Hayne JJ); Caron Bélanger Ernst & Young Inc as trustee to the bankruptcy of People's Department Stores Ltd (1992) Inc v. Wise and others  SCC 68; and North American Catholic Educational Programming Foundation Inc v. Gheewalla and others 930 A2d 92, 99 (Del 2007) at 19 to 24 (Holland J). 39 Colin Gwyer & Associates Ltd and another v. London Wharf (Limehouse) Ltd and others  BCC 885 (Ch) at 906,  (Leslie Kosmin QC sitting as a deputy High Court judge). 40 Kinsela and another v. Russell Kinsela Pty Ltd (in liquidation) (1986) 4 NSWLR 722 at 730b (Street CJ). 41 Nicholson v. Permakraft (NZ) Ltd  NZLR 242 at 249 (Cooke J) and 256 (Somers J); Kinsela v. Russell Kinsela Pty Ltd (1986) 4 NSWLR 722 at 730 (Street CJ); Brady v. Brady (1987) 3 BCC 535 (CA) at 552 (Nourse LJ); Liquidator of West Mercia Safetyware Ltd v. Dodd and another (1988) 4 BCC 30 (CA) at 33 (Dillon LJ); Facia Footwear (in administration) v. Hinchliffe  1 BCLC 218 (Ch) at 228b to c (Sir Richard Scott VC); and Dynasty Line Ltd (in liquidation) v. Sia Sukamto and another  SGCA 21 at  to  (Sundaresh Menon CJ). 42 Persons acting as directors and carrying out their functions but without formal appointment as directors. 43 The term 'shadow director' is given a statutory footing in the UK, and is defined by Companies Act 2006, Section 251, as 'a person in accordance with whose directions or instructions the directors of a company are accustomed to act'; see also Revenue and Customs Commissioners v. Holland and another; In re Paycheck Services 3 Ltd and others  UKSC 51,  1 WLR 2793. Although the BCA definition of 'director' does not extend to shadow directors, the IA definition does, save in the context of Parts IX and X of the IA, which relate to malpractice and disqualification respectively: Section 6 IA. The IA definition is in almost identical terms to the UK legislation, with the insertion of the words 'may be required or' before 'are accustomed to act'. The consequence is that while shadow directors may not be subject to claims for breaches of duties owed under the BCA, they may find themselves defending IA claims by liquidators or other entitled persons. 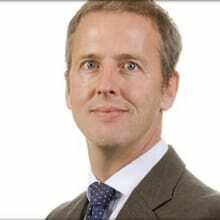 44 In Revenue and Customs Commissioners v. Holland and others (op cit), the UK Supreme Court held that where a corporate person is a sole director (in that case of an English company), the directors of the corporate person will not be regarded as shadow directors or de facto directors of the company. This is likely to be persuasive in BVI law. 50 Whether or not a transaction caused a company to become insolvent is a question of fact to be determined by applying the ordinary rules of causation, which in some cases concerning financially distressed companies can be very complex. 52 Section 245 IA. Note that in the BVI (unlike in many other common-law jurisdictions) it is not necessary that the liquidator show that the transferor had any intention or desire to achieve this result for the recipient. 54 In such cases it is still necessary to show that the transaction took place in the vulnerability period. 59 Section 248 IA. It is not sufficient that the transaction is merely unfair; it must be oppressive. 61 See also Section 250 IA. 62 BVIHC (COM) 55 of 2017, unreported (2 June 2017). 63 BVIHC (COM) 152 of 2017, unreported. 64 BVIHCMAP 13 of 2017 (18 April 2018). 67 Currently Australia, Canada, Finland, Hong Kong, Japan, Jersey, New Zealand, the UK and the US. 70 (2010) BVIHCV 140 of 2010 (unreported). 71 (2013) BVIHCM (COM) 113, 114, 115 and 116 of 2012 (unreported). 72 BVIHC (COM) 80 of 2013, unreported, (31 July 2013). 73 This Section requires that the foreign office holder be a person acting as an office holder in insolvency proceedings in a relevant foreign country designated as such by the Financial Services Commission of the BVI. If the jurisdiction in which the foreign office holder was appointed has not been designated by the FSC, Section 470 is of no assistance. This does, however, conflict with an earlier unreported decision where assistance pursuant to the common law was granted to a foreign insolvency professional from Curaçao, a jurisdiction lying outside FSC designation. 74 It is possible to migrate a foreign company to the BVI for the purpose of making use of the BVI's restructuring options under Part X BCA. 78 HCMP 833/2017;  HKCFI 277. 79 According to Section 184(1) IA, liquidators appointed pursuant to a member's resolution under Section 159(2) are officers of the court. 80 BVIHC (COM) 35 of 2015, unreported. 81 Law 11,101 of 2005. 82 BVIHC (COM) 132 of 2016, unreported (1 December 2016). Over the years since the financial crisis, shareholder activism has been on the rise around the world. As both shareholder activists, and the companies they target, become more geographically diverse, it is increasingly important for legal and corporate practitioners to understand the legal framework and emerging trends of shareholder activism in the various international jurisdictions facing activism. The Shareholder Rights and Activism Review is designed as a primer on these aspects of shareholder activism in such jurisdictions. Despite a slight decrease in overall activity compared with 2016, 2017 was a strong year for global M&A activity as, for the fourth consecutive year, global deal-making activity exceeded US$3 trillion with announced transaction volumes reaching US$3.7 trillion. Even though 2017 did not replicate the record-breaking number of mega-deals in 2015 nor the high volume seen in 2016, market participants in a number of sectors took advantage of continued access to cheap capital globally to engage in M&A activity. This publication is a multinational guide for understanding and navigating the increasingly complex and dynamic world of liquid real estate and the transactions that mostly produce it. The sea change in the markets, sometimes called the ‘REIT Revolution’, has meant that major real estate transactions have migrated from ‘Main Street’ to ‘Wall Street’. They now often take the form of mergers, acquisitions, takeovers, spin-offs and other corporate transactions conducted in the public markets for both equity and debt. This volume offers an in-depth review of market conditions and insolvency case developments in key countries around the world. A debt of gratitude is owed to the outstanding professionals the world over who dedicated their time and talents to this book. This book is a significant undertaking because of the current coverage of developments we seek to provide. As always, the hope is that this year’s volume will help all of us, authors and readers alike, reflect on the larger picture, keeping our eye on likely, as well as necessary, developments, both on the near and distant horizons. While the global financial crisis of 2007 and 2008 may feel like an increasingly distant memory, its effects continue to be felt across the whole of the financial world. Despite significant improvements in the global economic landscape in the intervening years, global growth has been hampered in recent years by various geopolitical factors, including political uncertainty resulting from the change in administration in the US in 2016 and the rise of populist movements in Europe. The world of asset management is increasingly complex, but it is hoped that this edition will be a useful and practical companion as we face the challenges and opportunities of the coming year. This fourth edition of The Securities Litigation Review is a guided introduction to the international varieties of enforcing rights related to the issuance and exchange of publicly traded securities. The seventh edition of The Private Equity Review follows a turbulent and at times nerve-wracking 2017. It was also a year in which private equity demonstrated its strength as an asset class in spite – perhaps because – of that turbulence. Deal activity and fundraising were strong in almost every major market despite fierce competition from public strategic buyers and strong returns in other asset classes.